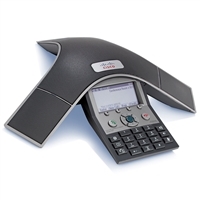 Cisco designs conference phones and microphones that improve your business by improving conference calls. With products that work seamlessly with Cisco WebEx and other Cisco unified communications platforms, Cisco audio conferencing equipment leverages precisely engineered microphone arrays and cutting-edge voice conferencing enhancements. Cisco audio conferencing is the premier conference call experience for enterprises, and also works with video conferencing systems for excellent audio, regardless of how you connect. 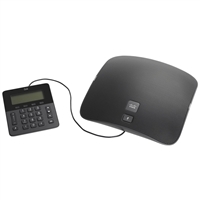 IP Phone Warehouse is an authorized online reseller of Cisco audio conferencing equipment.